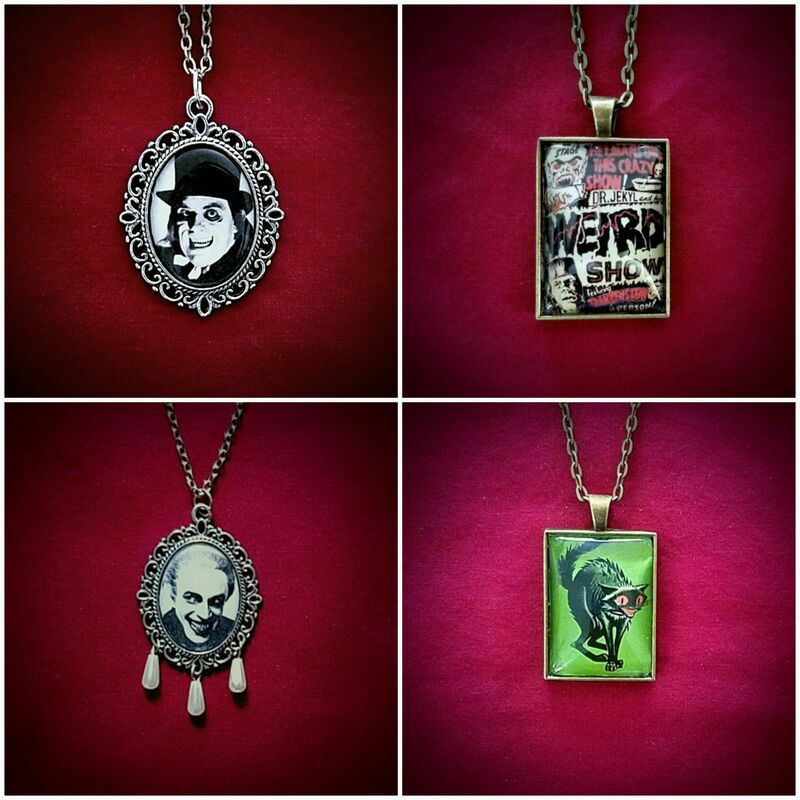 My Etsy shop now has plenty of goodies that would be perfect accessories for Halloween season attire. 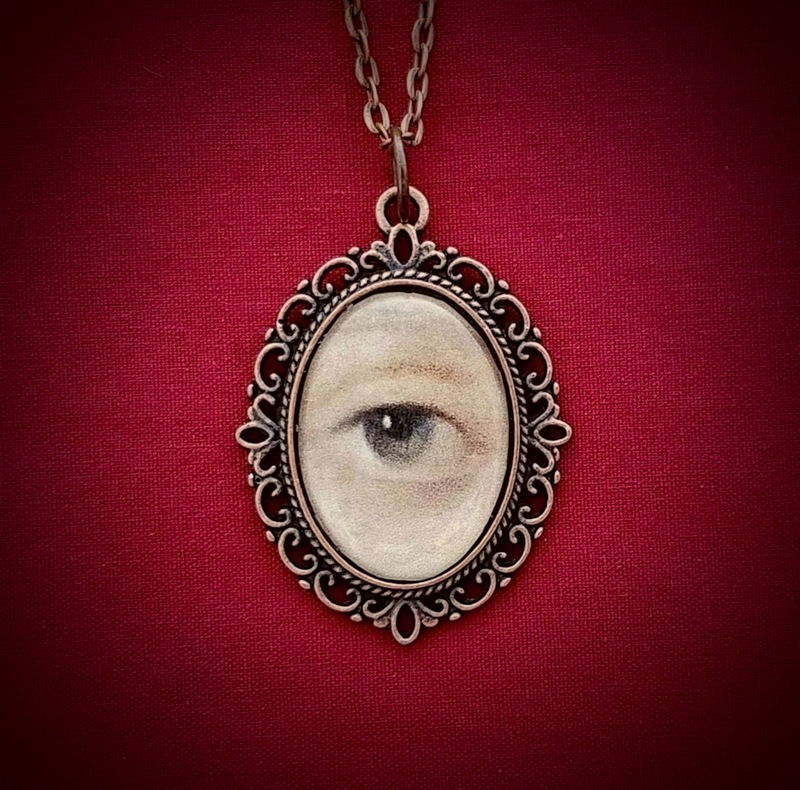 They range from silly and spooky to sophisticated yet haunting. Silent horror, spookshows, vintage illustration! 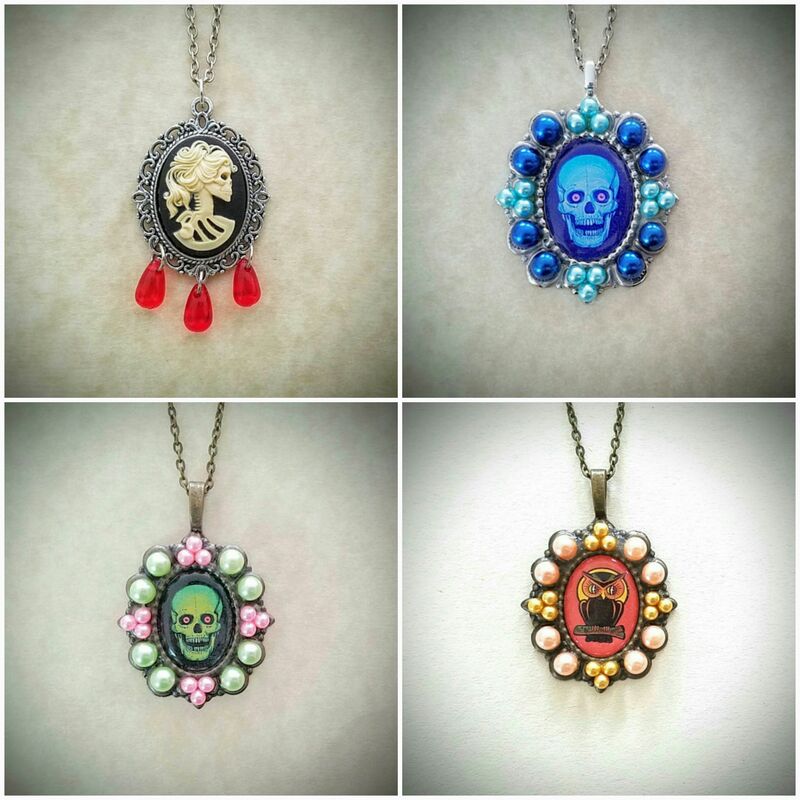 Skull cameos, Beistle classics, kitsch! Lover’s Eyes (of man and beast)! There is also a giveaway running this week, so be sure to check that out. 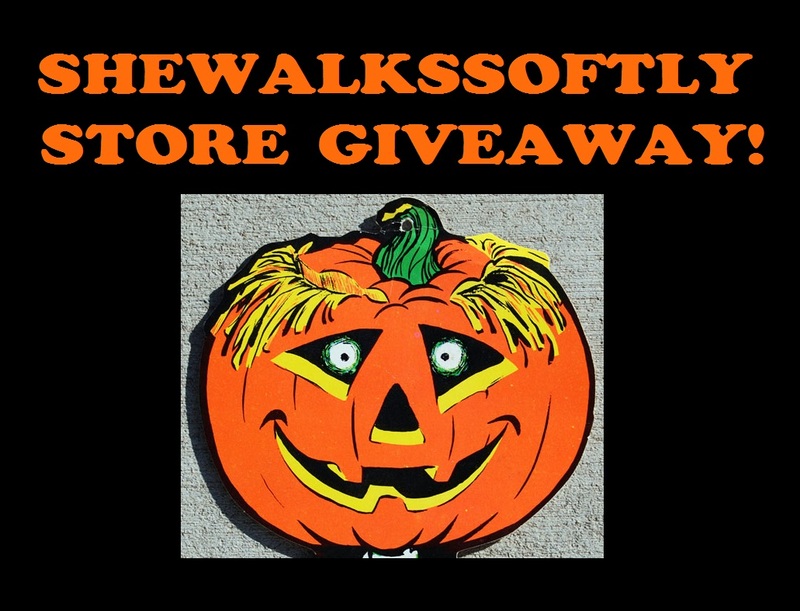 Halloween Countdown: SheWalksSoftly Store Giveaway! 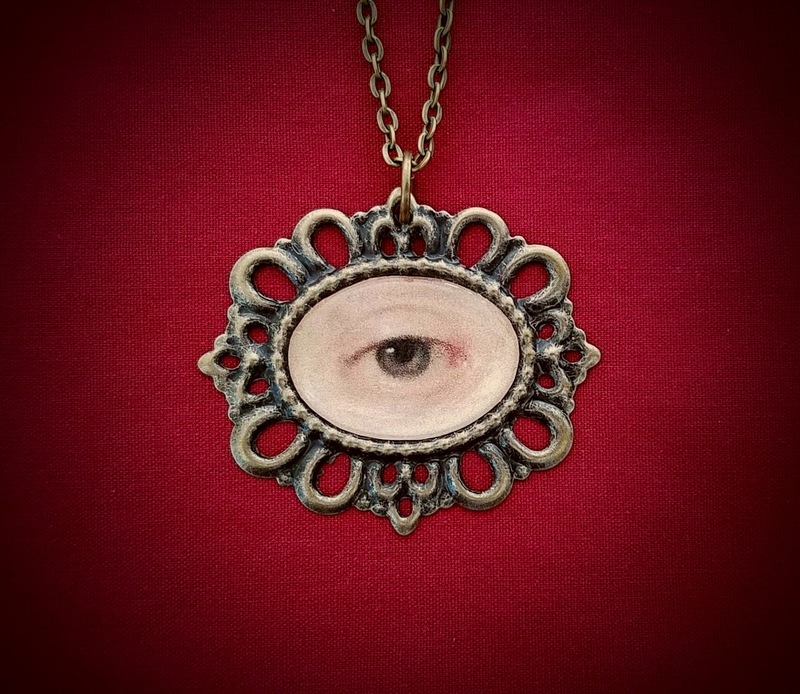 I’m celebrating the inaugural Halloween season for my brand new SheWalksSoftly Etsy store with a giveaway! 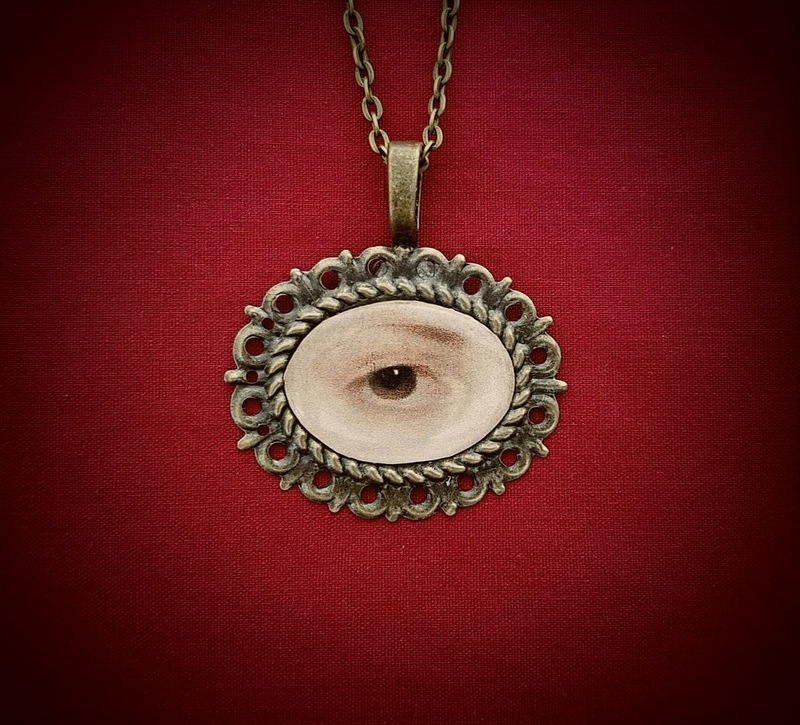 Win ANY jewelry item of your choice (or a custom request). This was originally an Instagram contest but I’m opening it up to blog readers! 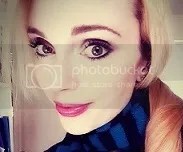 You can either follow on Instagram or Facebook and use the directions there, or participate via email by forwarding this post to at least 3 friends (please include shewalkssoftlyblog@gmail.com as well, so I know you’ve participated). Contest ends 10/12, 11pm EST. All entries will be assigned a number, and the winner drawn at random. 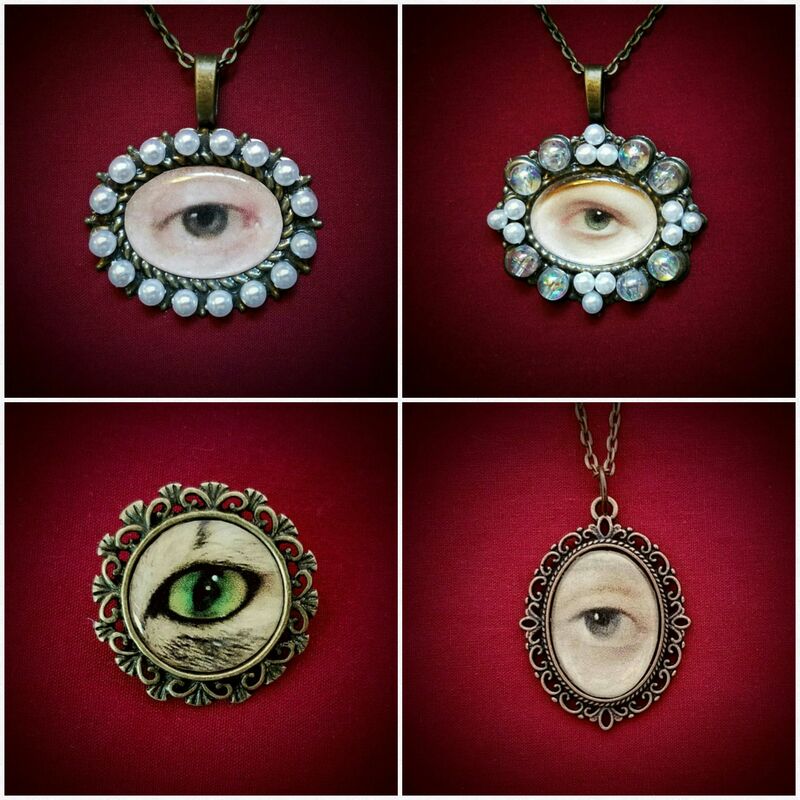 New Lover’s Eye Pendants on Etsy! 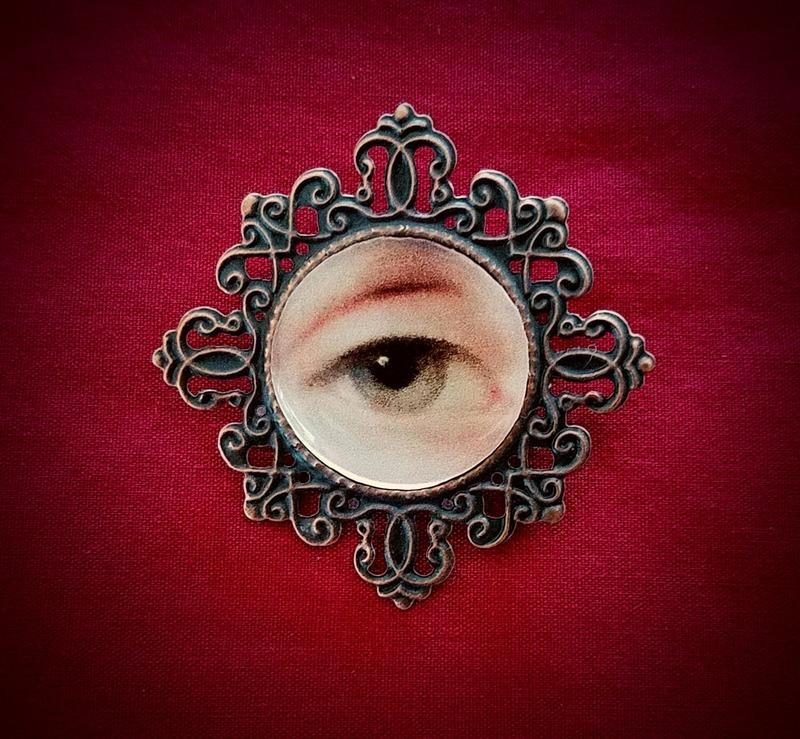 For those who may want something a bit more low key than the bejeweled Lover’s Eye pieces in the store, I’ve added a series of them without any beading. Find them on Etsy here! All items can be fully customized.